We are excited to share our new garden columnist with you, beginning this April. Epic Gardening’s Kevin Espiritu will regale us each month with practical advice for any type of garden — and gardener. To get to know him a little bit, our web editor asked him a few questions. San Diego Home/Garden Lifestyles: How did you start gardening? 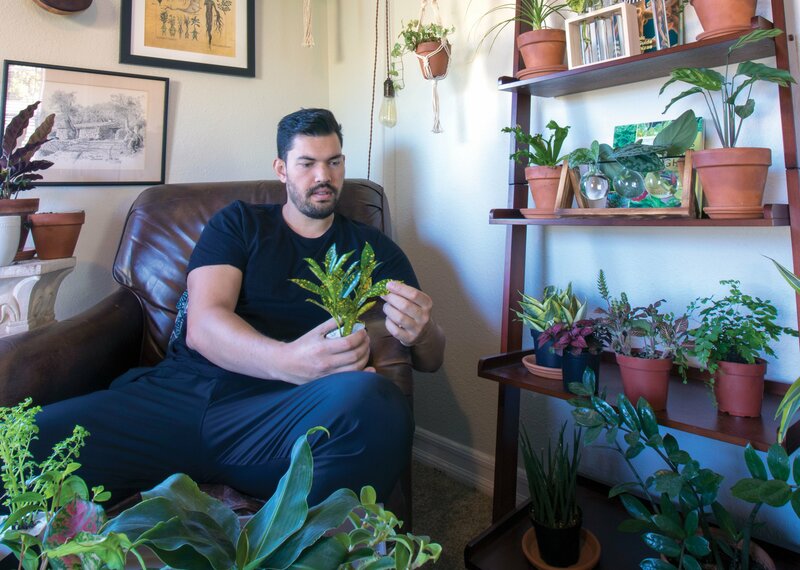 KEVIN ESPIRITU: I started out gardening because I was basically addicted to video games and wasting my time after graduating college, not really knowing what I wanted to do with my life. My brother came home from school, and my mom asked me to do something with him to get him out of the house. Little did she know it was me that really needed to get out. We went down to the local Nursery, bought some basil and cucumbers, and started. We did pretty well that first season, even though I messed my cucumbers up. However, the spark was ignited and it’s never gone out since. SDH/GL: What is your favorite gardening challenge? 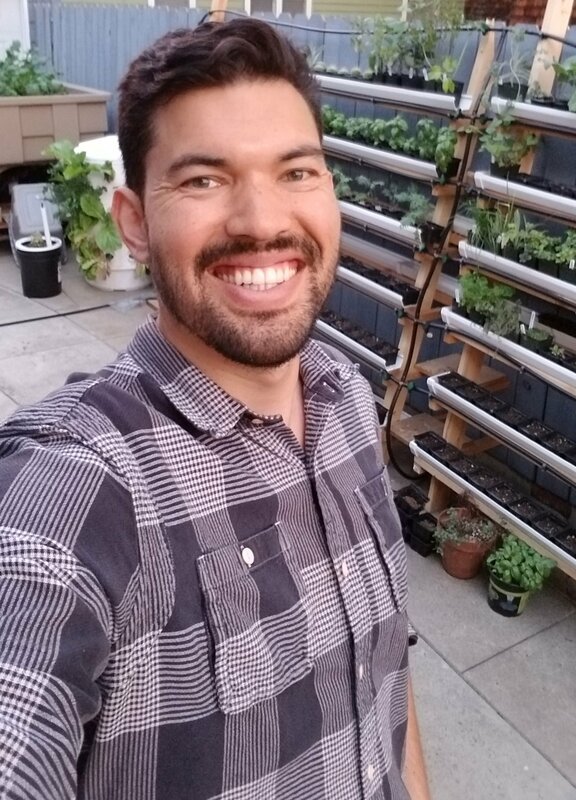 KEVIN ESPIRITU: My favorite gardening challenge is probably the one I’m doing right now, where I’m a tempting to live for an entire month only off of what I can grow, forage, and fish. I’m planting a ton of potatoes as well as nutrient dense greens to try and survive, which is certainly a bigger challenge than anything I’ve taken on so far! SDH/GL: What are some garden hacks that you are using these days? KEVIN ESPIRITU: A deeper understanding of soil life is probably your best hack you can use. I’ve been diving deep into research on the soil food web as well as mycorrhizal fungi and other microbial inoculants. Effectively what these do is unlock nutrition that’s already inherent within your soil, by building the delicate network of organisms that exist under the soil. It’s very true that we need to be feeding our soil, not our plants! SDH/GL: Have you ever had a “nailed it” style failure on a garden hack you saw online? KEVIN ESPIRITU: Oh man, I fail at so many different things! Last year I attempted straw bale gardening and growing potatoes in an old straw bale, and I got three of the smallest, most pathetic looking potatoes you’ll ever see. That also happened to me with peanuts, because I didn’t prepare the soil correctly for the unique way that peanuts grow. I cherished the five peanuts I got off of that plant, and delicately roasted them in my kitchen. They were the best peanuts I ever had, even if they were a pathetic failure! 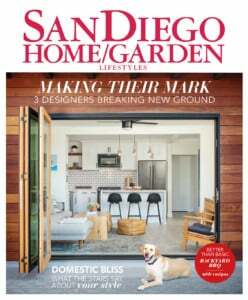 SDH/GL: What are you most looking forward to about writing for San Diego Home/Garden Lifestyles? KEVIN ESPIRITU: I’m excited to write some practical, no-nonsense Garden guides for the readers of San Diego Home/Garden Lifestyles. To me, that’s what was missing when I started epic gardening. Simple, plain English explanations of how to grow and care for plants successfully! Watch for Kevin’s column starting with our April issue! We are celebrating the fine art of the garden hack all week. 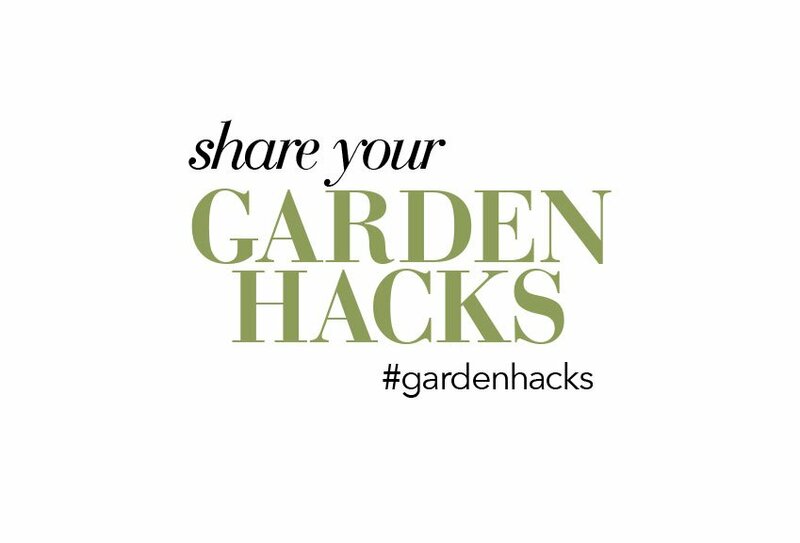 Watch our Instagram (and #gardenhacks) for some tried and true time-saving, gear-saving and/or money-saving tricks for all things gardening related! AND, most importantly: show us yours!